Please read this page to find answers to common questions related to the Mushbox website. If you still have a question that is not answered on this page please use the support form to submit your inquiry, or search at Shroomtalk.com as there is probably many people who have asked the same questions. 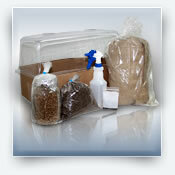 Why would I use Mushbox for my mushroom kits and substrates? 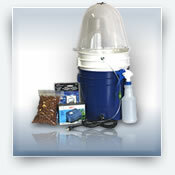 There is many reasons you should consider Mushbox for your myco needs. Mushbox has been around and proven our reliability, there is very few online vendors in this market that have been around for over 10 years. With that experience we are able to provide quality substrates, mushroom kits and other products backed by friendly customer service and a dependable guarantee for satisfaction. 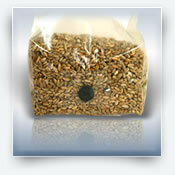 We will also match or even beat any competitor price for the same product, just contact us for details. How can I place an order with Mushbox.com? The Mushbox website provides several methods for placing an order including: Online with credit card, Telephone with credit card, and mail order. To learn more about ordering please visit the order info page. How will my order be shipped? All orders are shipped including an online tracking code and insurance if selected. All orders are shipped in a plain white or brown box and only the shipping information is displayed on the package, there is no mention of mushrooms or Mushbox. To learn more about shipping details please visit the shipping information page. How long does it take to grow mushrooms? This depends on the species and strain your growing. It also depends on what method you use to start the cultivation process. Usually you can produce the most common and easy to grow mushrooms (oyster, white button) in approx. 30-45 days. To learn more about growing mushrooms and the basics of getting started you should become a member at Shroomtalk Mushroom Forums, there is an endless wealth of information and thousands of experienced myco enthusiasts who will be happy to help you succeed.